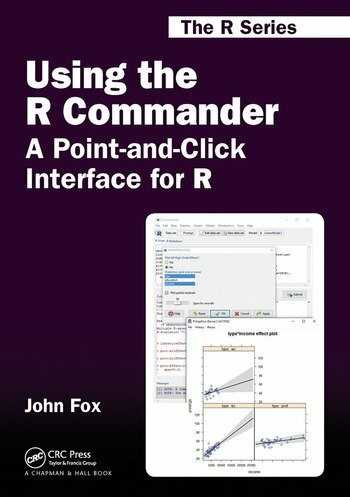 This book provides a general introduction to the R Commander graphical user interface (GUI) to R for readers who are unfamiliar with R. It is suitable for use as a supplementary text in a basic or intermediate-level statistics course. It is not intended to replace a basic or other statistics text but rather to complement it, although it does promote sound statistical practice in the examples. The book should also be useful to individual casual or occasional users of R for whom the standard command-line interface is an obstacle. The site includes data files used in the book and an errata list. Introducing R and the R Commander. Installing R and the R Commander. A Quick Tour of the R Commander. Data Input and Data Management. Summarizing and Graphing Data. Simple Statistical Tests. Fitting Linear and Generalized Linear Models. Probability Distributions and Simulation. Using R Commander Plug-in Packages. John Fox is Professor of Sociology at McMaster University. 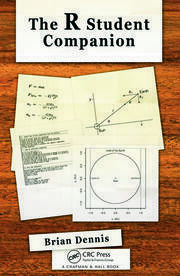 Professor Fox wrote the R Commander software, and is the author of many articles and books on statistical methods, including (with Sanford Weisberg) An R Companion to Applied Regression, Second Edition. He is an associate editor of the Journal of Statistical Software and former editor of the Quantitative Applications in the Social Sciences monograph series. ". 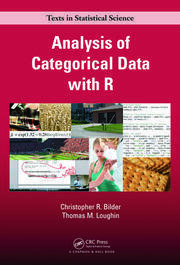 . . this is a comprehensive book written in an approachable style, that serves as a good user guide to the R Commander . 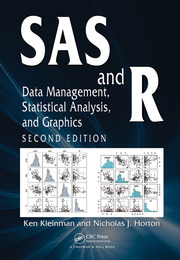 . ."
"Having used R Commander in my introductory statistics courses, I would recommend its use in a first course in statistics for several reasons. First, R Commander gives students experience with a statistical software package while allowing the course to focus on important statistical concepts. Second, students become familiar with R code while using the program, allowing students to quickly transition to R (or RStudio) in a second course."